By Guest Blogger and Business Partner Tony Rubleski of The MindCapture Group. Of late, I’ve been living out of hotel rooms, airplanes and rental cars even more than usual. I’m not complaining, as my forthcoming new book, Trailblazers, releasing on 9/4/18 (Morgan James Publishing) and the message of leadership, has been striking a positive chord with many diverse groups and meeting planners. #1: It’s not always easy being on the road as I miss quite a bit of time away from my family and friends. However, once we get to the location and set up, the amazing people and groups I’ve been fortunate to meet and work with, make it worth it. #2: You must possess a great amount of patience. I’ve had to learn how to deal with changing conditions and many things that are not directly within my control when I’m criss-crossing time zones, cities, and working with lots of new people. 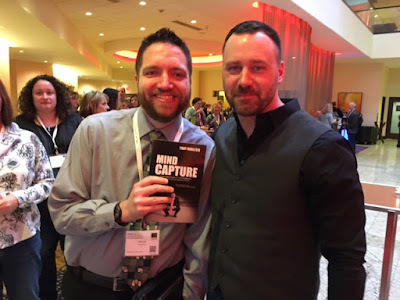 I’m again reminded that I love teaching others, so travel and going to meet them at their events is what I signed up for 13+ years ago when I started the company. #3: People are hungry to learn and improve themselves. Many of the events have seen great turnouts. Now, this isn’t all due to me, but it certainly demonstrates that the message I share is striking a positive chord with attendees. For that, I am again both blessed and grateful. Today we fly again…next stop? 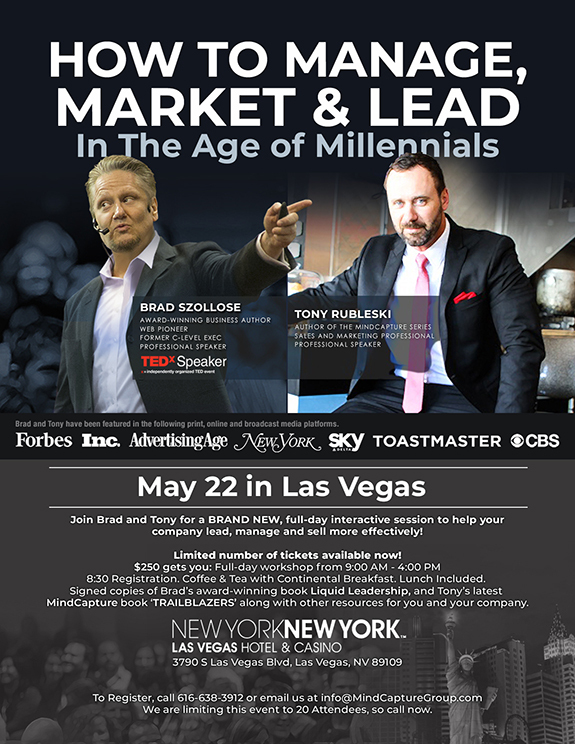 Interested in Joining me and Tony in Vegas on Tuesday? Former Dot Com Executive and Baby Boomer Brad Szollose, is an award winning leadership strategist, author and professional speaker who shows people managers and entrepreneurs how to win big in the Information Age.